In The Manga Artist's Coloring Book: Girls!, bestselling how-to-draw author Christopher Hart draws on the successes of his numerous manga and anime books to offer up a must-have coloring collection for fans of manga and coloring books alike. Each page offers black and white illustrations of the most popular female characters in the manga genre, paired with the intricate patterns and backgrounds found in today's in-demand coloring books. 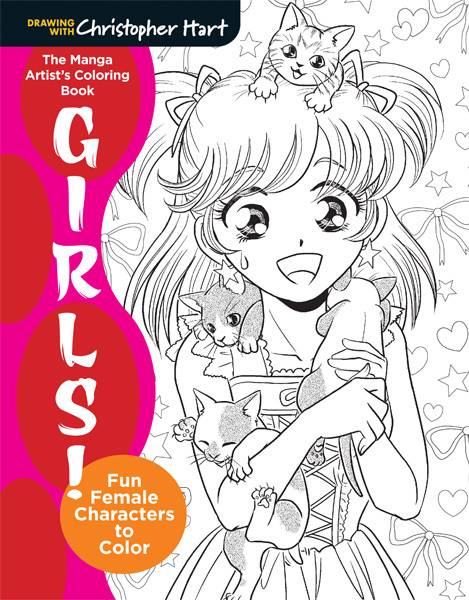 Drawn in the eye-catching style Chris's books are known for, The Manga Artist's Coloring Book: Girls! is sure to be a crossover success with both the manga and coloring crowds.